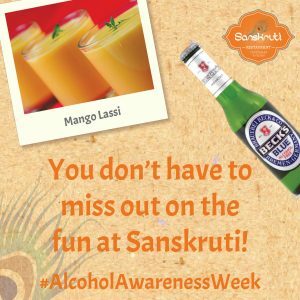 From the 14th to 20th November, we will be taking part in Alcohol Awareness Week so if you are seeking a healthier alternative to your usual tipple, join us for an alcohol-free beer or a mocktail! This year, the Government updated its recommended drinking limits for adults in the UK. The new guidance states that the limits for both men and women are the same – which is to not drink more than 14 units a week, and spreading these units evenly over 3 or more days. You can read more about these changes to the Government’s guidelines on the Department of Health’s website.